Includes 2 reception tickets and donation to 40Plus. Includes one reception ticket and a donation to 40Plus in recognition of our 65th anniversary. After clicking "Register" button, enter your email, then select "Ticket Donation". To donate more than one ticket, enter the number of "Additional Guests" [No names required]. NOTE: To both donate and register yourself, you must "register" twice - once for each option. Plan now to join the celebration 65 years in the making. 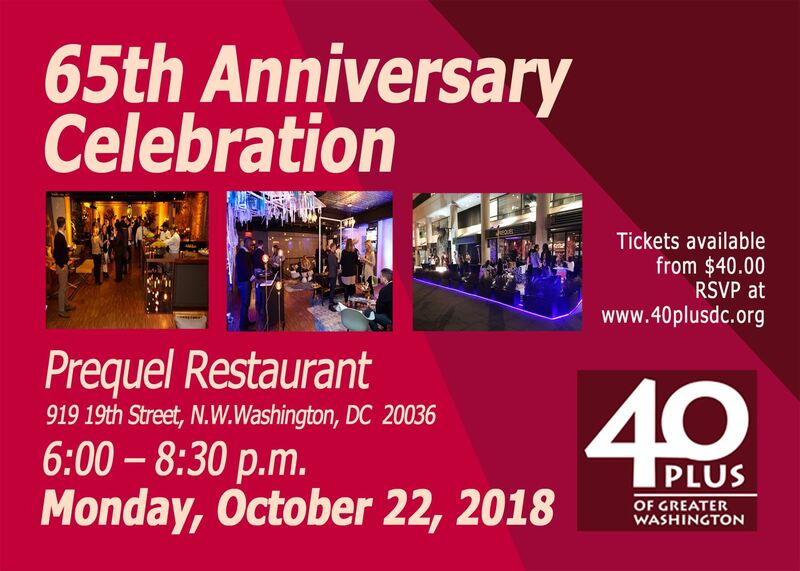 Reconnect with 40Plus friends and colleagues as we celebrate the success of 40Plus alumni and recognize the contributions of 40Plus volunteers. Please plan to register at the event.